Jimmy Carter, the 39th president of the U.S. from 1977 to 1981, became the country’s oldest living former president Thursday, surpassing the late President George H.W. 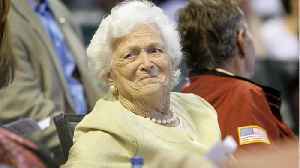 Bush who died in November. *Boyden Gray*, former White House counsel to President *George H.W. Bush*, appeared on Tucker Carlson Tonight Tuesday to discuss a complaint he filed to revoke the tax exempt status of Media Matters. 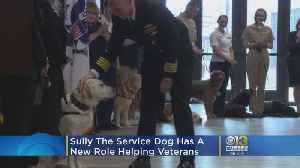 Sully, the ever-faithful service dog to former President George H.W. 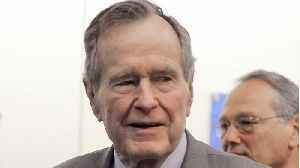 Bush, was tapped on Wednesday for his new role at Walter Reed National Military Medical Center. Washington D.C., Feb 28, 2019 / 03:00 pm (CNA).- Neomi Rao was given and affirmative vote by the Senate Judiciary Committee on Thursday. She is President Donald Trump’s nominee to replace Justice.. 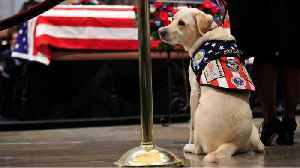 The service dog who captured America’s heart for his loyalty to former President George H.W. 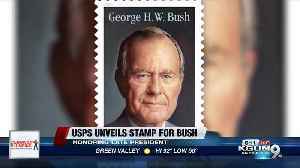 Bush has a new job helping veterans. BETHESDA, Md. 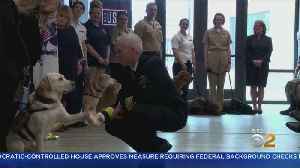 (AP) — Sully, the service dog who symbolized devotion lying by former President George H.W. 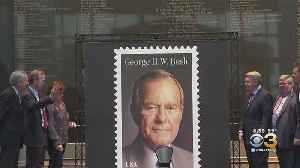 Bush’s flag-draped casket, has a new mission. 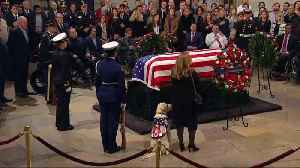 The 2-year-old yellow Labrador Retriever on..
Sully, a service dog who gained fame for his loyal companionship to President George H.W. 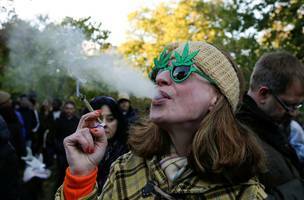 Bush, has received a new assignment: Providing "support, comfort and cheer" to vets and their families at..
· * The wave of global marijuana legalization in 2018 could have something to do with last year's highly volatile stock market, says Chuck Thompson, a socionomics analyst. * · *When people derive a.. 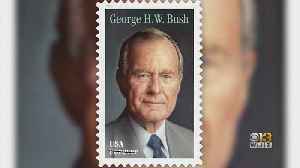 In this special edition of Executive Speakers on Speakers, Ronan Tynan dives into his relationship with President Bush, as well as President Reagan, and how those friendships have impacted his..
Former President George H.W. 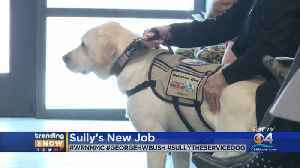 Bush's service dog, Sully, is preparing for a new role. 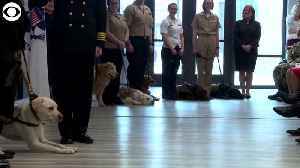 At the end of the month, the 2-year-old lab will start working with veterans at Walter Reed National Military..
Washington D.C., Feb 7, 2019 / 01:30 pm (CNA).- The Senate Judiciary Committee voted 12-10 along party lines to advance attorney general nominee William Barr to the full Senate for a confirmation..
Washington D.C., Feb 5, 2019 / 02:15 pm (CNA).- Sen. Cory Booker (D-NJ) used a confirmation hearing of the Senate Judiciary Committee to question a judicial nominee about her views on the.. Political showboating abounded on the Hill amid a government shutdown with the confirmation hearing for Attorney General nominee William Barr. 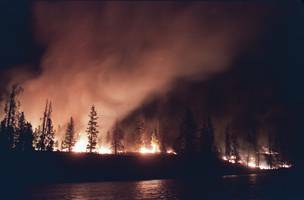 Despite having served in the same position from 1991-1993..
· *Top American economists from both sides of the aisle see a carbon tax as the most cost-effective way to address climate change. * · *In a letter out this week, forty-five of them said climate.. 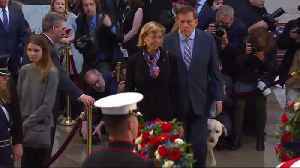 The StreetShares Foundation named annual sponsor of the 4th Annual Veteran Awards (Vettys), presented by the Academy of United States Veterans WASHINGTON (PRWEB) January 18, 2019 The StreetShares..
Washington D.C., Jan 15, 2019 / 03:30 pm (CNA).- President Donald Trump’s nominee for attorney general William Barr said Tuesday that he does not think his Catholic faith is an impediment to leading.. 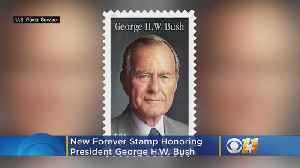 In honor of former President George H.W. 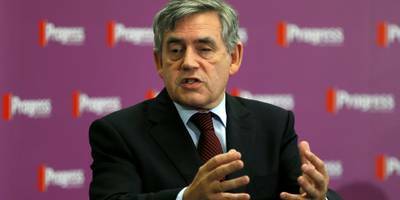 Bush's service dog, Sully, who has become a surprise social media star, "Sunday Morning" contributor Luke Burbank introduces us to another yellow Lab,..
** · *Gordon Brown, formerly Prime Minister of the United Kingdom is following the path of major politicians moving into private equity advisory. 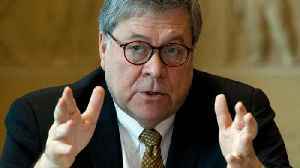 * · *He will take up a role with Switzerland's..
WASHINGTON (AP) — The incoming chairman of the Senate Judiciary Committee said Wednesday that Attorney General nominee William Barr has confidence in special counsel Robert Mueller and will let him..